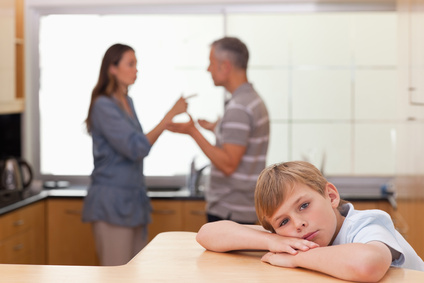 Child Custody During Divorce. What are your options? Spouses must deal with many issues when they get divorced but few have the potential to be as contentious as child custody does. Child custody during divorce is one of the most stressful times in a persons life. If a parent does not try to get parental rights, he or she will have restricted time with the children for the remainder of their youth. Even worse, both custody and visitation may be stripped, preventing the parent from seeing the children until they are no longer minors. Protecting your rights to winning child custody during your divorce begins by understanding what matters to a judge and setting yourself up the right way. Speaking with an expert divorce lawyer that handles child custody matters is the first step to fighting for your rights! Win Child Custody During Divorce! While some spouses file for sole custody in divorce, others settle for joint custody. Today, most courts hesitate to grant sole custody unless absolutely necessary. They have discovered that the resulting limited involvement of other parent is detrimental to the children. If it must grant sole custody to one parent, a court typically awards generous visitation rights to the other parent. However, when a party is not granted joint custody during divorce, there are significant decisions that will only be made by one parent, and this can result in the noncustodial parent not being able to have input on things such as education and doctors visits. With joint custody in divorce, both parents are provided the right to see their children. Courts usually grant this child custody arrangement once the parents begin living separately even if the divorce has not been finalized. A judge may order joint physical custody, joint legal custody, or both. Legal custody provides the parent with the right to make decisions regarding the lives of the children. The decision to award joint physical or legal custody depends upon several factors including housing needs of the children and work schedules of the parents. Parents who are focused on getting joint custody should consult with an attorney to determine the best way to go about this. A divorce attorney can help a client win child custody during divorce by positioning him or herself as a suitable caregiver for the children. Divorcing parents who wish to avoid the fight that takes place in the court system can have an attorney help them draft a parenting agreement. In fact, most child custody cases are settled before court intervention is required. The parenting agreement finalizes custody decisions in written form and is usually presented to a family court judge for final approval. A child custody agreement may be considered part of the divorce, in which case it will be filed with the same court that received the divorce petition. After the judge approves the parenting agreement, the document becomes binding and the parents must comply with the stated rights and obligations. If one parent violates this agreement, the other may go to court to resolve the issue by enforcing the agreement. Therefore, it is important that both parents agree to the custody arrangements before committing them to writing in this document. Understanding that the process of determining child custody during divorce is not easy and that you should have the assistance of an expert divorce attorney is the first and most important step you can make to win custody and get your family back. It is always in a child’s best interests to have frequent and positive contact with both parents after divorce. Since this is the best outcome for the child’s upbringing, it is important for parents to consider putting their differences aside, so they can best co-parent their child. A custody case in court does not have to be a knock-down, drag-out fight with only one winner – parents can work together to create a custody agreement that suits both parties and best supports their child’s wellbeing. If both parents in a child custody case are willing to work together, they can often settle their custody arrangement out of court using informal negotiations. This can be done with or without the assistance of their attorneys and is an opportunity for the parents to work together to sort out a child custody agreement or visitation plan for their child. Regardless if the parents choose to work through their custody dispute with the help of attorneys or on their own, the result of these negotiations is a “settlement agreement” or “custody agreement” that is then approved by a judge. Depending on the state in which the parents are divorcing, it may be required for them to work together to settle their custody dispute out of court before taking the issue to the judge. Since informal negotiations or ADR may be required, parents need to understand their custody settlement options. If parents are successful in settling their custody dispute out of court, they still need to have the approval of a judge before the agreement can be finalized. Once the agreement has been written, it is reviewed by a judge for final approval. If the agreement is part of the couple’s divorce proceedings, it needs to be filed with the court in the county in which the divorce petition was filed. Once this has been filed, an informal court hearing may be held for the judge to ask the parents basic questions regarding the child custody agreement and get any needed clarification before approval. What if stepmom is trying to kidnap child? I feel this because step mom told me she is going to ruin me and take everything I worked for including my child. Good post. Full child custody or sole custody is a good option for those who fears for the future of their children with their respective partners. It generally allows the child to live in one home, which may be beneficial and less confusing. While courts no longer openly favor granting sole custody to moms, statistics suggest that little has changed in recent years. Based on the most recent figures, only one in six custodial parents is the father of the child.